Houses without gutters are more likely to experience wood rot on the fascia and soffit as water exiting the roof finds openings in the paint and caulking. They will prevent backsplash, washouts, erosion and flooded basements. Rain gutters are an essential part of a roofing system, protecting a building‘s foundation by collecting and diverting rainwater away from a house. Gutters also help to reduce erosion and keep basements and crawl spaces dry while protecting a house's facade and windows from water. Therefore, gutter installation or replacement is considered a long-term investment in regard to the overall infrastructure of your house. Gutters differ by materials, types, sizes and shapes, also known as profiles. Gutters and downspouts can also be constructed from a variety of materials, including copper, zinc, galvanized steel, plastic and wood, but aluminum gutters are the most popular. Gutter material thickness – although gutters are available in a thickness of .019 in., VIS Exterior recommends material thicknesses of at least .032 in. 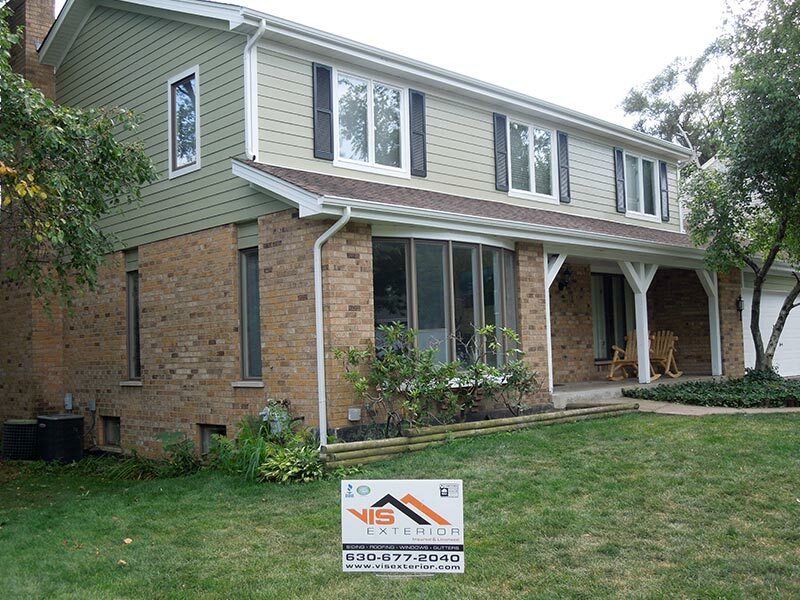 Gutter material quality – VIS Exterior also recommends that homeowners choose aluminum gutters. Gutter color – to keep gutters from dominating a home's facade, VIS Exterior recommends choosing a color that blends in with your house. His CREW did FANTASTIC work. Val was Great to work with.....answered all my questions and returned emails fast. Communication was top notch. His CREW did FANTASTIC work. We had siding, fascia, soffits, gutters and downspouts done. They would clean up every work day and be here when Val said they would. Would highly recommend them to friends/family. All the neighbors are complementing us on the new look!!!! Definitely will be calling VIS when the roof needs to be done!!!!! Thanks VIS Exterior. There are two types of gutters: sectional and seamless, also known as continuous. 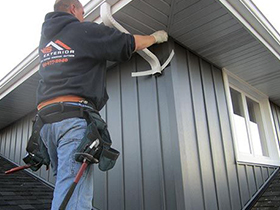 Sectional gutters come in various lengths and must be joined together during gutter installation. The downside to this type of guttering system is that there is a potential for leaks at the seams. 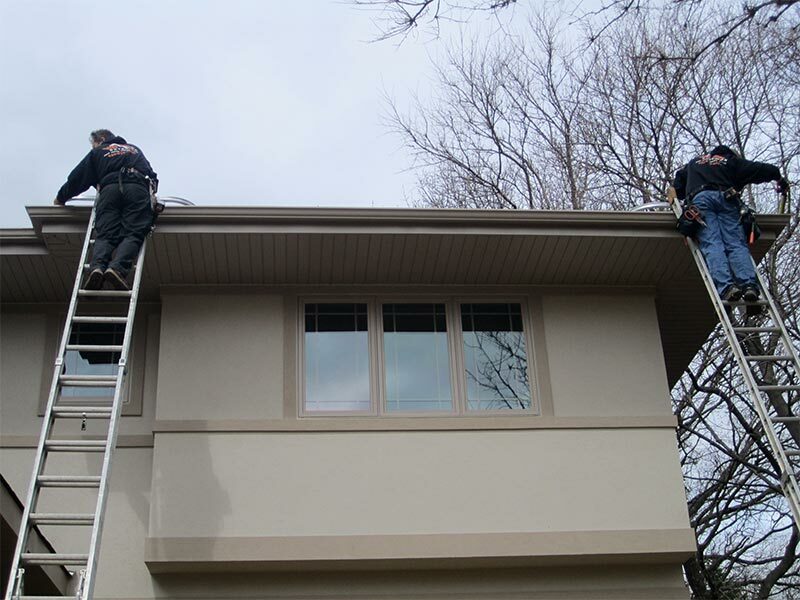 Seamless gutters are custom-made from a single piece and are made to fit a home's length from corner to corner. Other than seams at the corners, this type of system doesn't have seams that could potentially leak and requires minimal maintenance. For these reasons, seamless gutters are the most popular type of gutters used today. 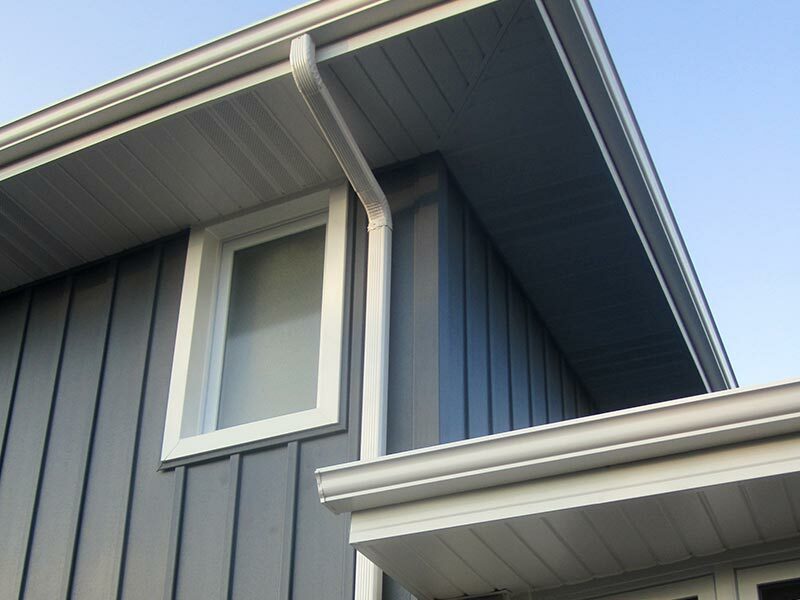 There are a lot of gutter shapes, but the most common are: K-style, U-style and Fascia style. Gutters are sized according to the roof area they drain. Usually, gutters are available in 4- to 6-in. diameters with downspouts that are chosen to fit the channel size. The most common on the market are the 5-in. K-style gutters. Although gutters are a relatively small part of a roofing system, they can cause significant issues if they fail. To avoid water getting into living areas and basements and to avoid erosion of driveways and pathways, old, damaged and defective gutters should be replaced as soon as possible. Guttering systems must be well-designed and installed to operate properly. Therefore, it's highly recommended that gutters be installed by professionals. Because the performance of a guttering system depends on various factors, choosing the right one for your house is best achieved with the help of a professional gutter installer. Working with a professional gutter contractor is integral when it comes to choosing the suitable type and size of guttering and downspouts for your home. Open rain gutters should be cleaned at least twice a year, in the spring and fall. Depending on local conditions, additional cleaning may also be required. 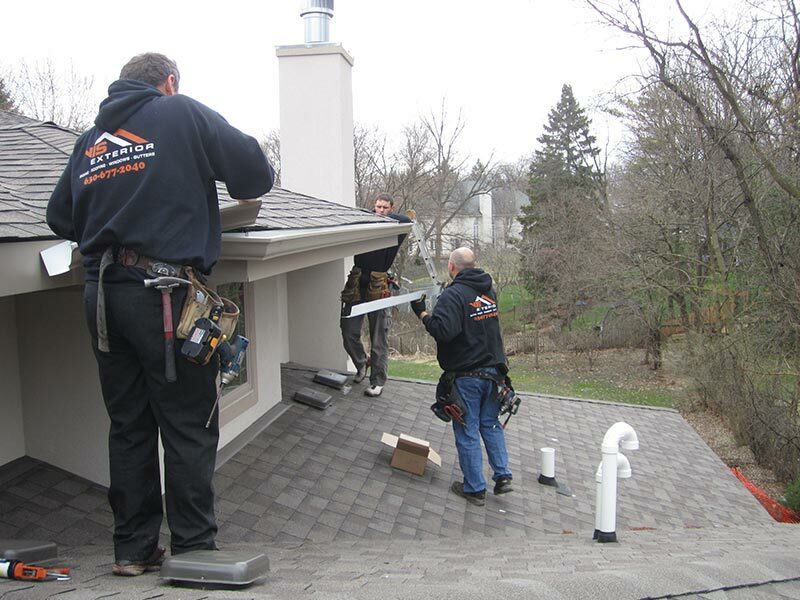 If you are planning to install a new roof and new guttering system, consider completing both projects simultaneously; most contractors can provide both roofing and gutter installation services. Excellent Job!! His team did the siding, gutters, downspouts, fascia, and the soffit for our house in May. We are very happy with their craftsmanship, and detailed. We would recommend to any body. Thank you very much for all your hard and great work that Val and his team did. Had Val and his team come out and replace our gutters. They did an incredible job! His team is responsive, on time, and ask for clarification on any decisions needed. Highly recommended!